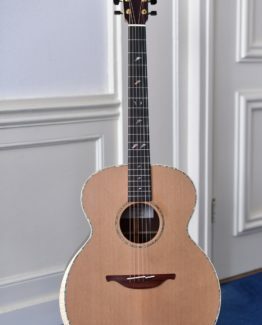 This brilliant Lowden F50c Brazilian Rosewood – Dark Cedar is arguably the crème de la creme one can have build by the Lowden team. 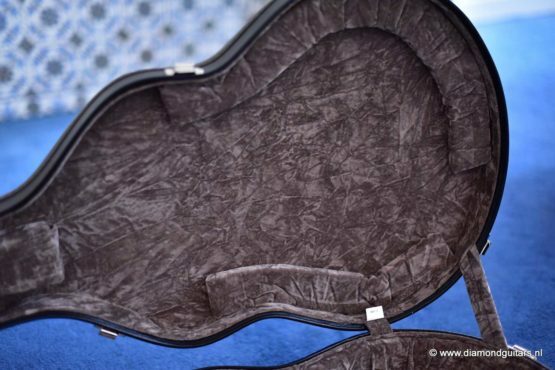 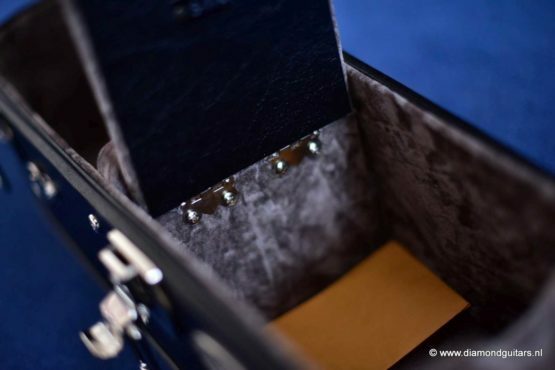 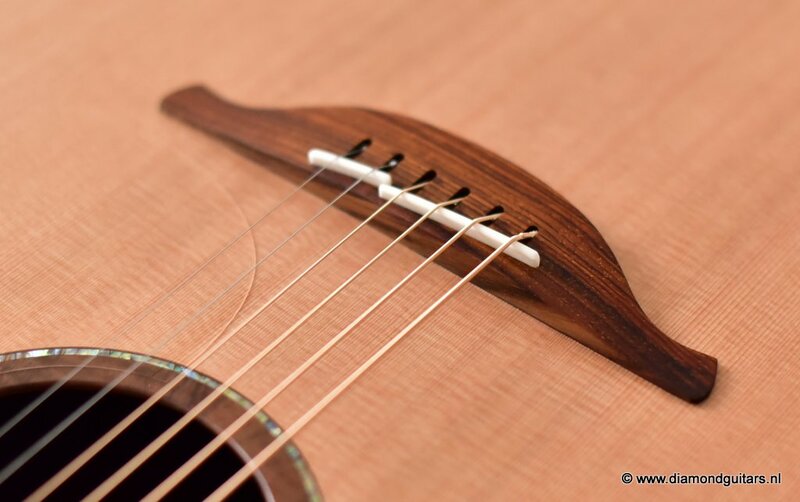 She comes with a comfortable soundbox bevel and a cutaway for easy access to the oh so sweet notes all over the fretboard! 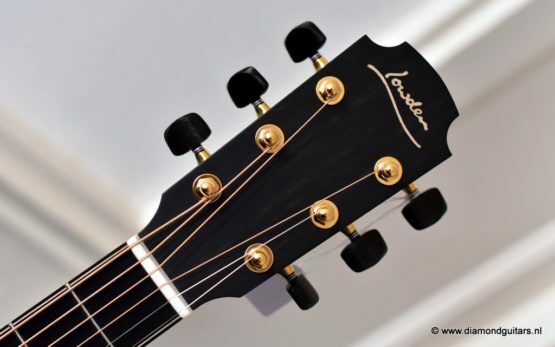 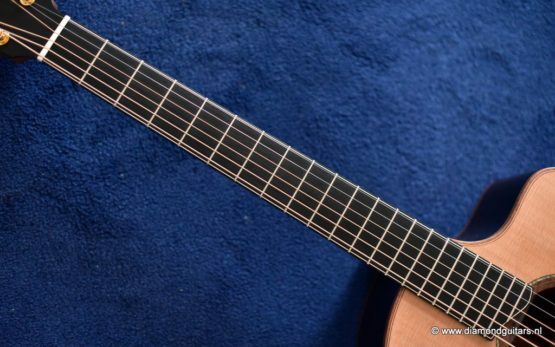 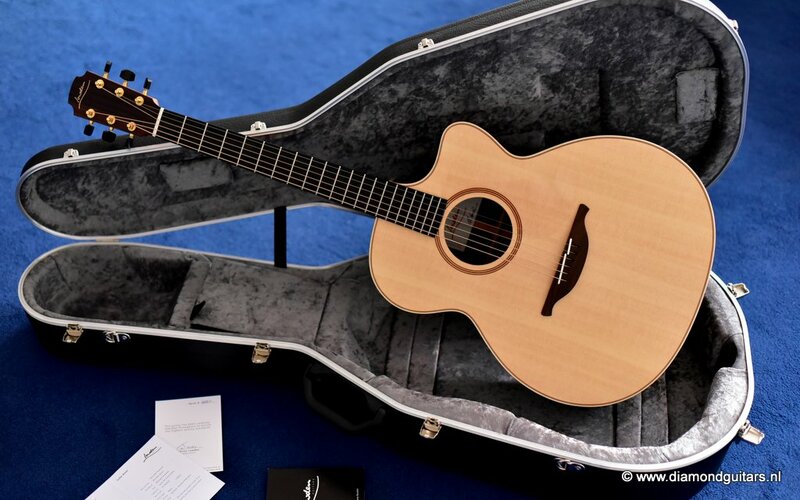 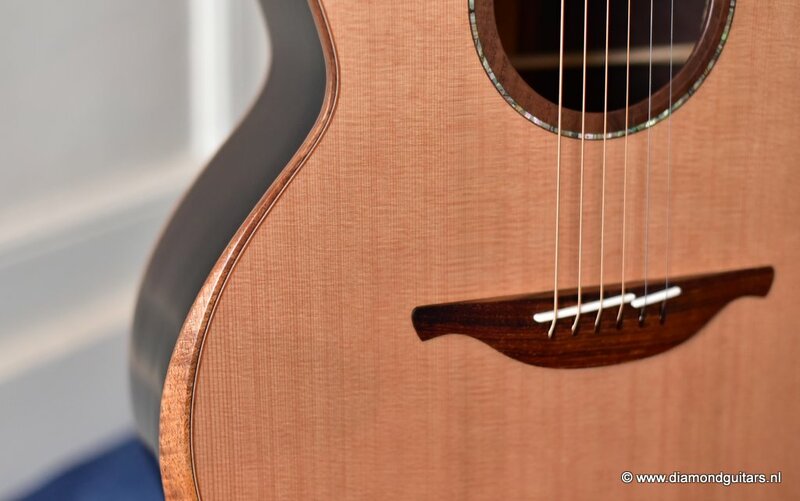 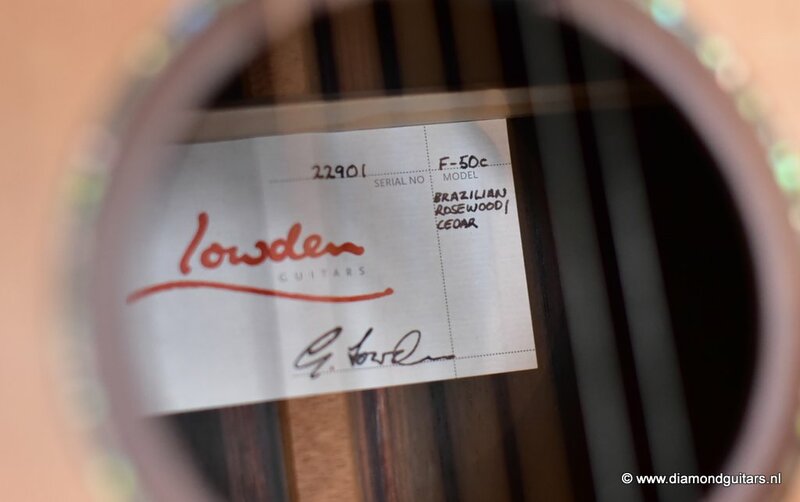 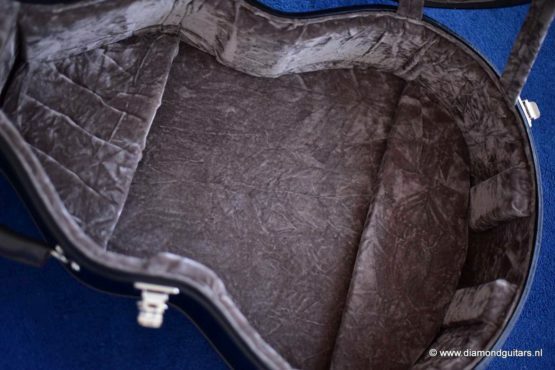 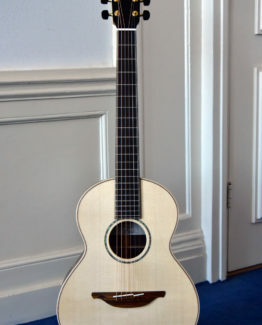 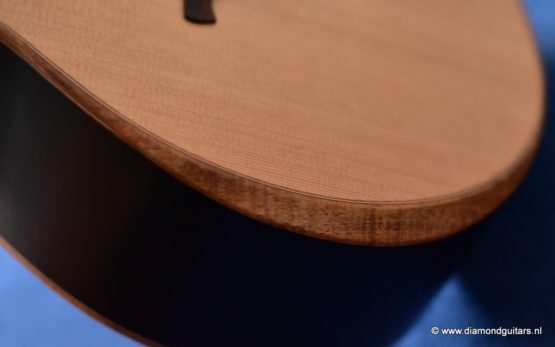 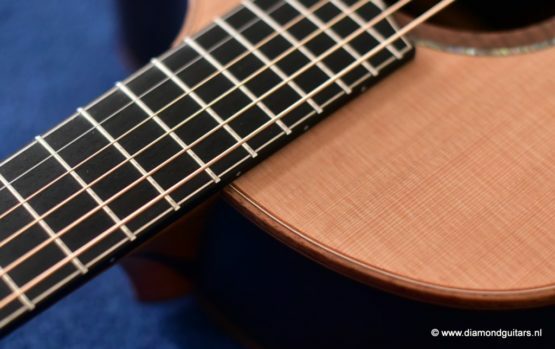 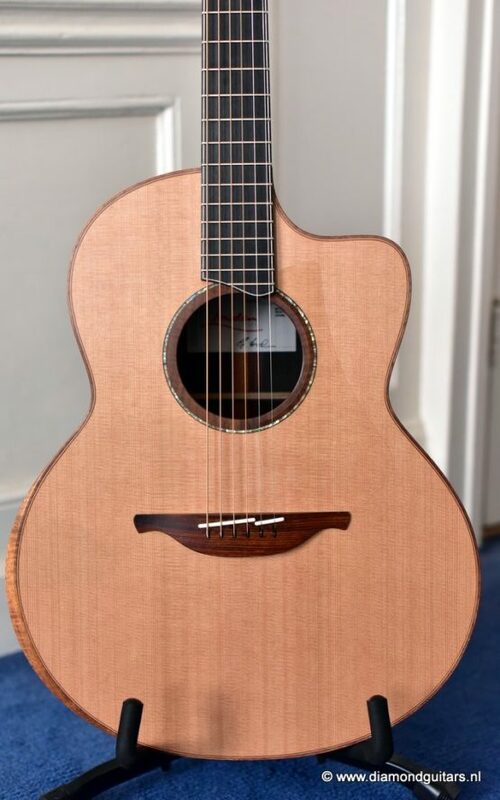 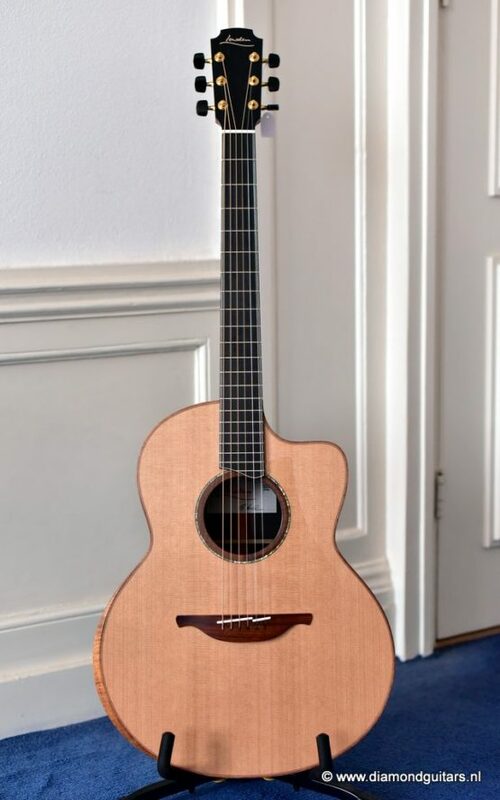 This Lowden F50c Brazilian Rosewood – Dark Cedar is build with mastergrade tonewoods. 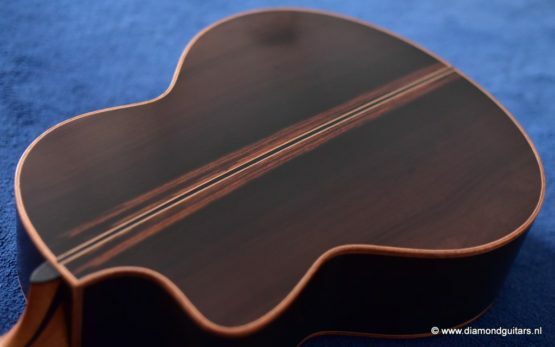 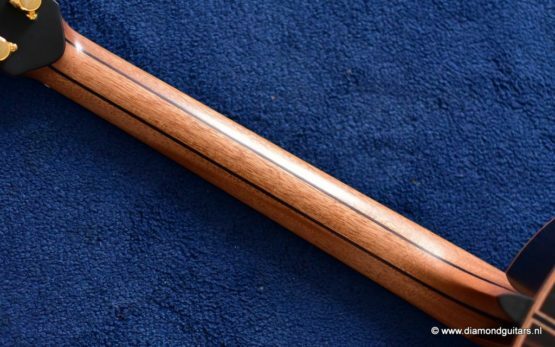 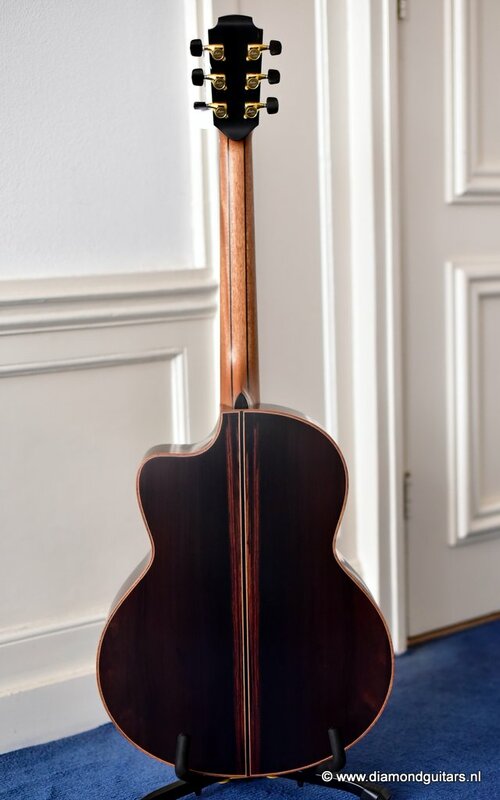 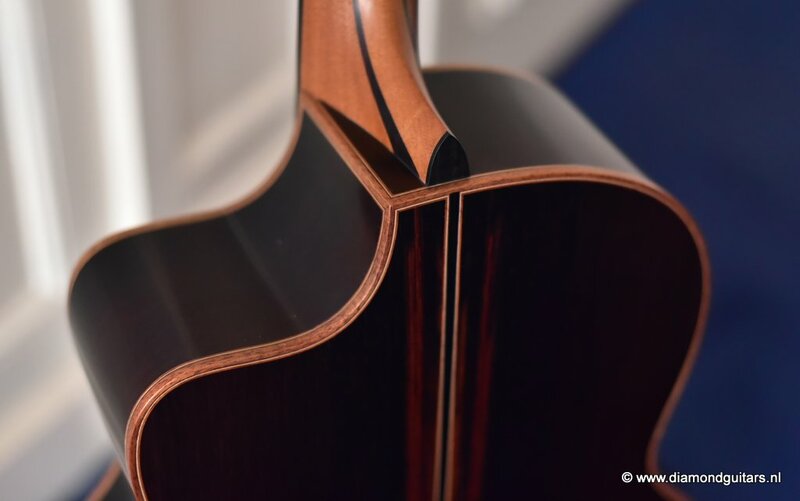 The Brazilian Rosewood is very dark coloured and straight figured wood with nice clear stripes. 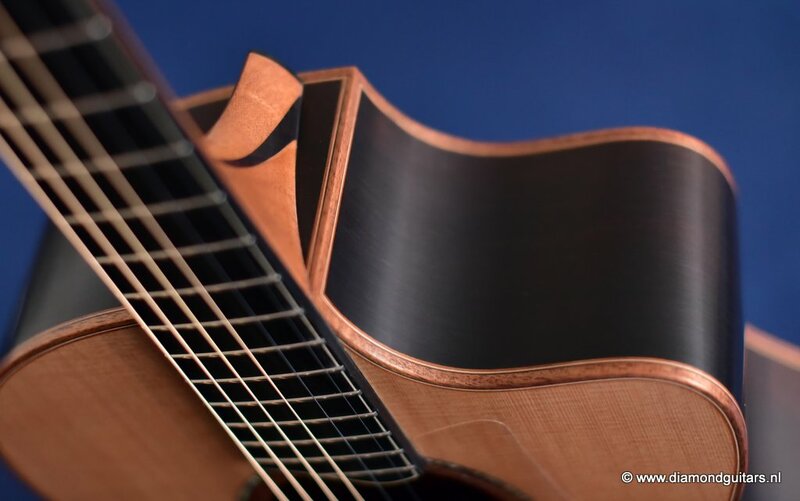 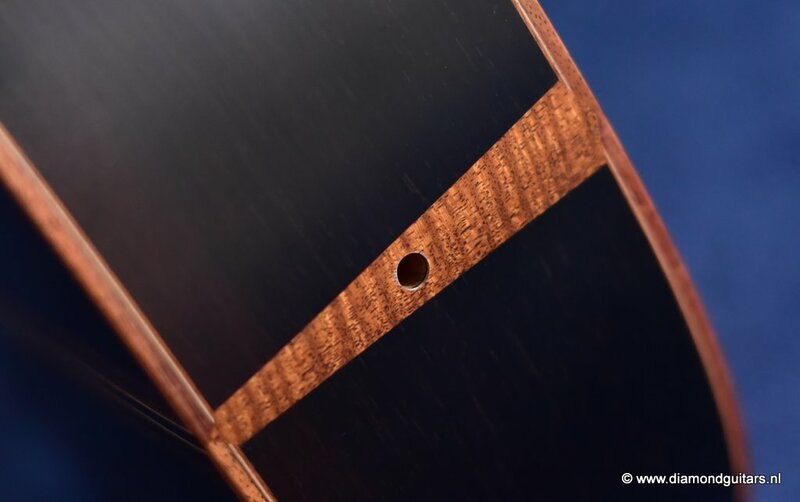 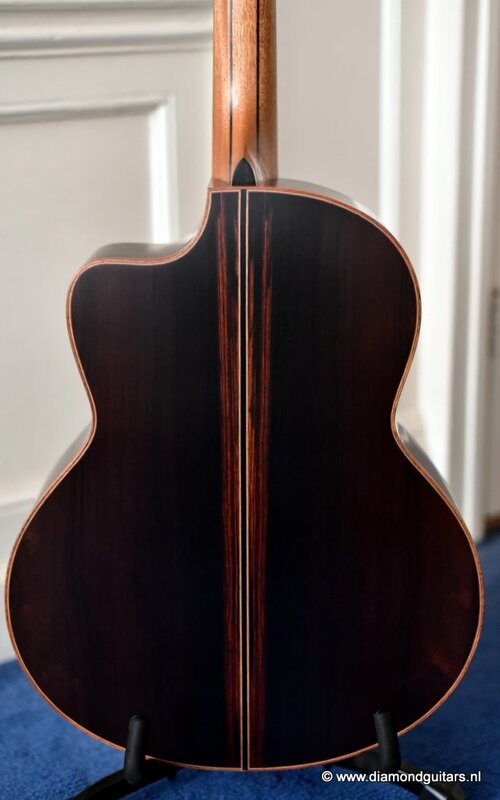 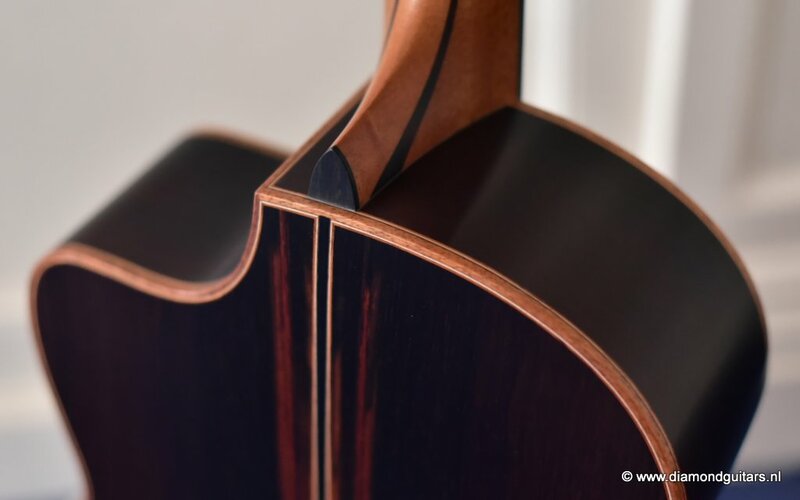 One cannot get a better quality of Brazilian Rosewood. 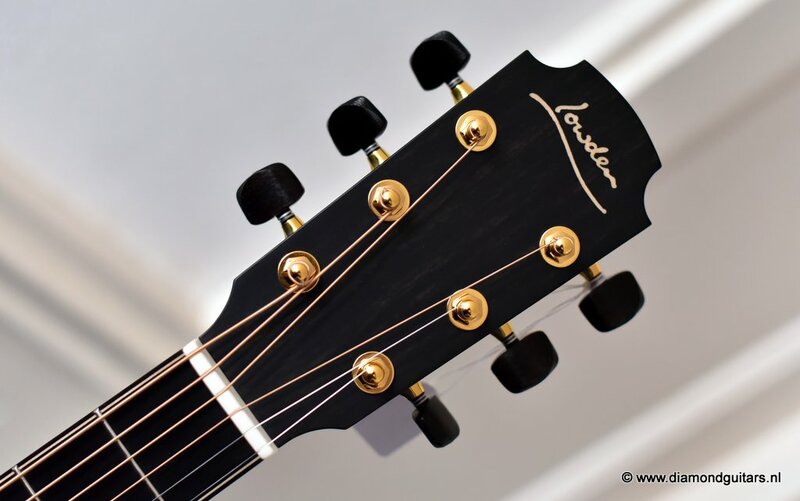 The complexity of the tone, the overtones en clarity hit you immediately! 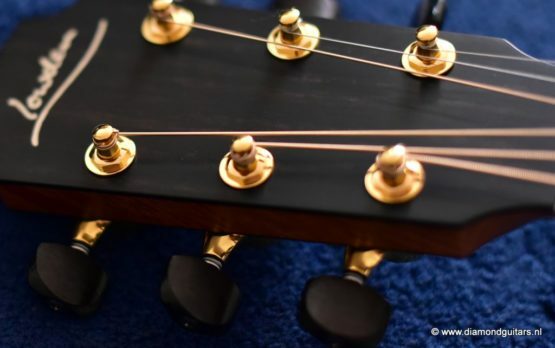 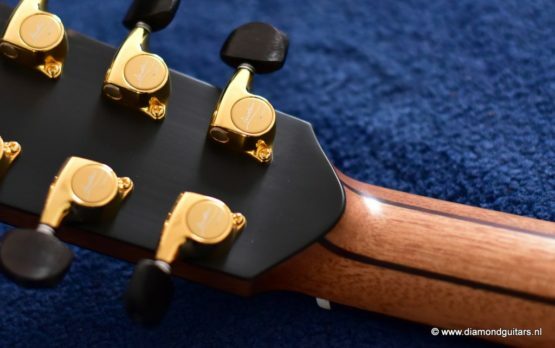 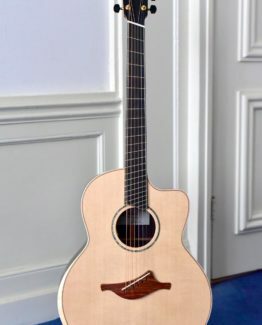 Weight and stiffness make the guitar light and instant responder to light fingertouch including unbelievably good three dimensional sound qualities. 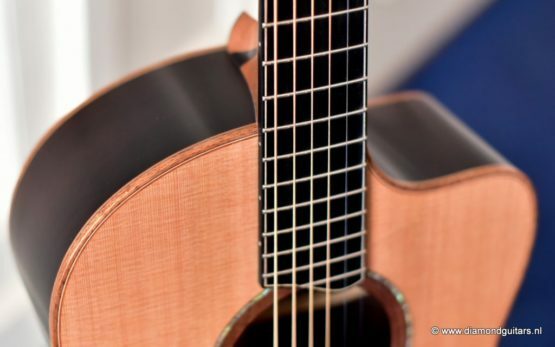 Superb clarity of the treble notes. 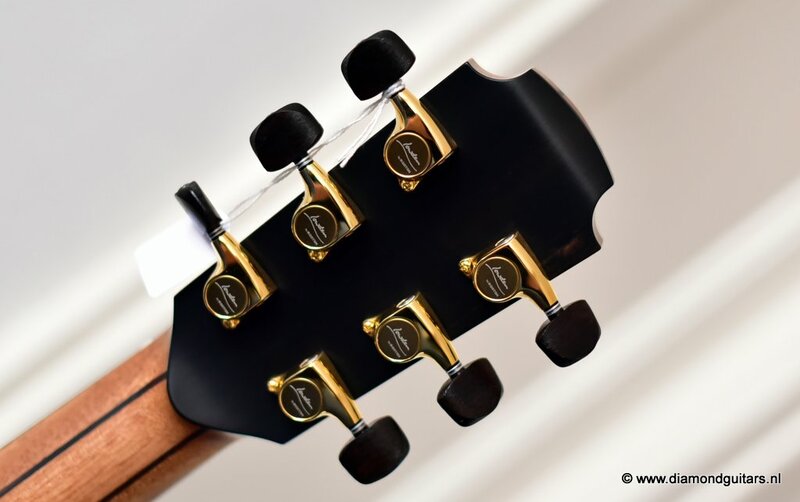 After you hit the bass strings and move up to the trebles you are taken by the fullness of the notes. 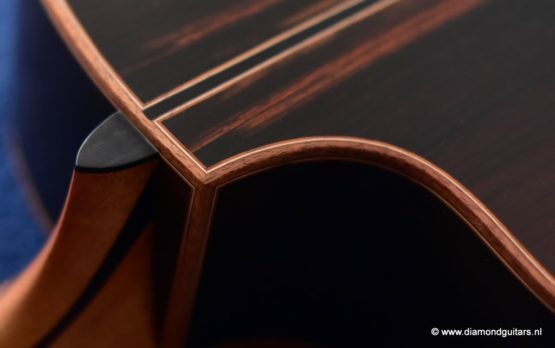 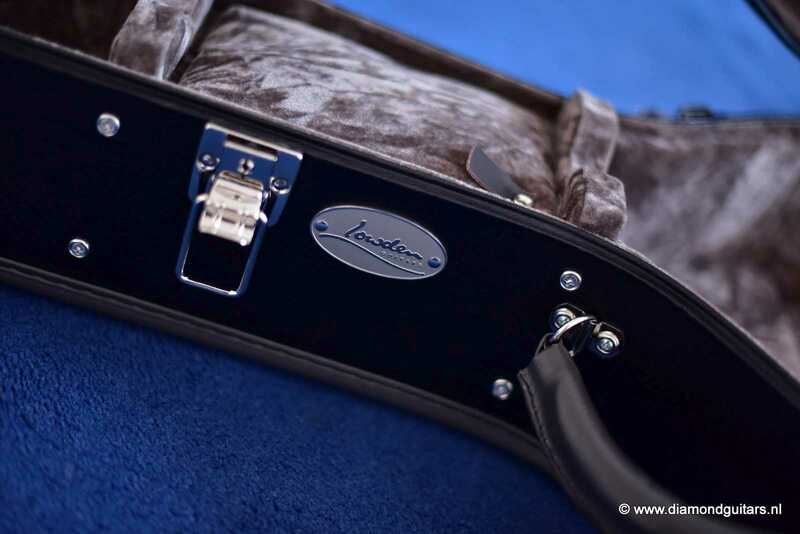 Combined with the soft dark tone of the Red Cedar you get an instrument that excels in almost any style. 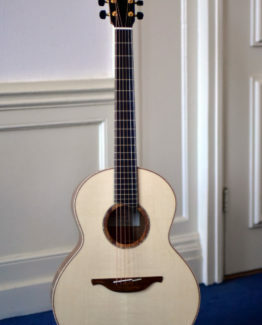 Brilliant guitar! 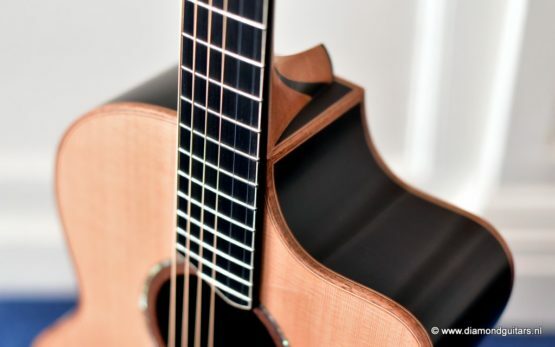 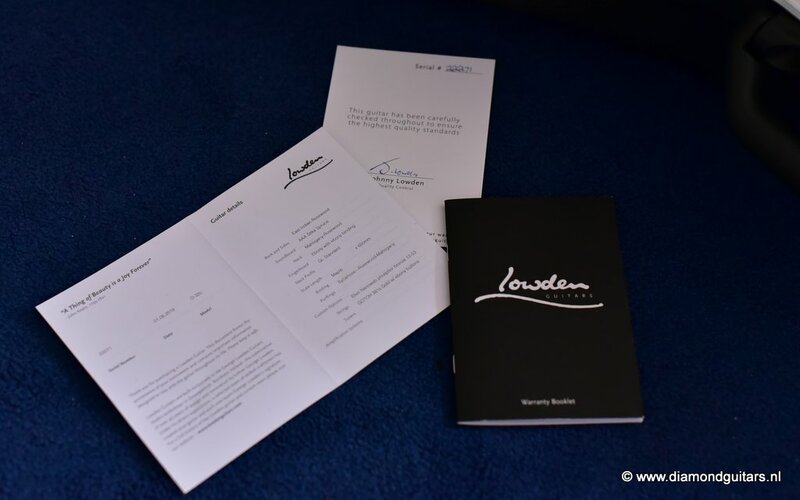 Free shipping within the Netherlands and to Belgium, Luxemburg and Germany.